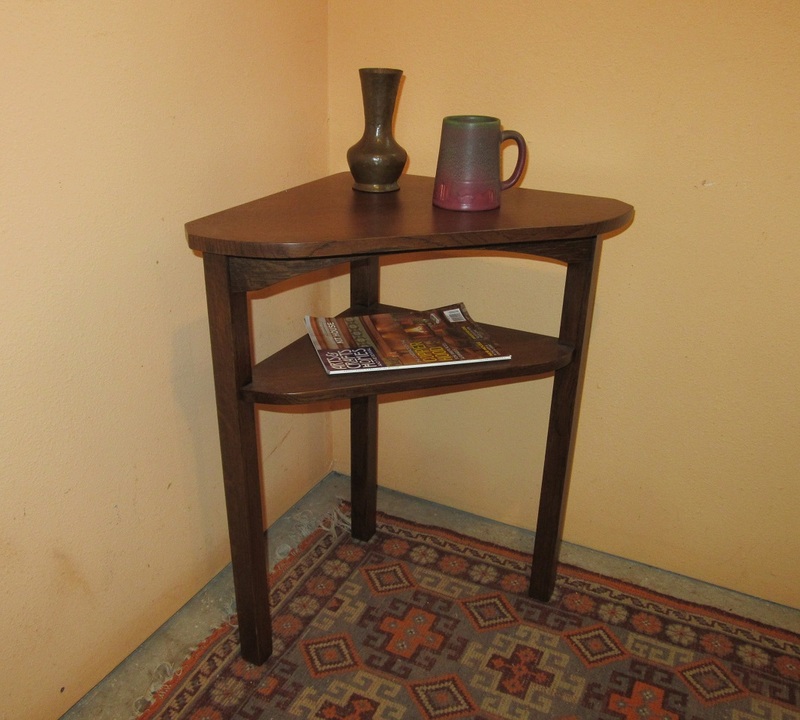 This New Mission Oak Corner Table is great for a corner location anywhere in the home. It is a useful, compact and stylish table with nice Arts & Crafts details. The lower shelf offers additional space. Made from quarter sawn white oak. August 16, 17 & 18.